If you’re a die-hard BlackBerry purist and you’ve been waiting patiently to see the Bold lineup make a comeback, the Classic is the QWERTY keyboard-toting, throwback business phone you’ve been waiting for. It’s just as practical as the massive Passport, but it’s actually pocketable and BlackBerry 10 packs in plenty of nifty features. It’s not for everyone though, and its physical keyboard eats up valuable screen real estate, while software keyboards have come leaps and bounds. At £350, it’s not bad, but it won’t set the world on fire - don’t expect it to beat out the latest flagship Android blowers or the iPhone 6, either. If you are buying a phone for content consumption, then I think you have already made a decision. Yes, the BlackBerry Classic is not for you. It is a very good option for those looking for a solid messenger phone. I prefer the Classic over the unwieldy Passport. There's no doubt that the Classic is a very good handset. However, considering that the Q10 with similar hardware is now available for Rs 24,000, the Classic's Rs 31,000 price tag seems unreasonable. It’s hard to recommend the Classic to anyone but the most diehard BlackBerry fanatics, and in fairness, they’re a bunch of people who already know they’re in love even before they lay eyes on this product. This is a phone, though, that really should have turned up a couple of years ago when Qualcomm’s Snapdragon S4 chip was new, in 2012 when it was recent, rather than early 2015 where it feels old and depreciated. Saying that the BlackBerry Classic isn't for everyone is like pointing out that snow is really quite chilly and oxygen is a lovely thing to breathe. It's so obvious that it barely means anything at all. What the Classic is, though, is a mostly reliable device, so long as you're willing to put up with its many, many quirks. 70% BlackBerry Classic review: Timeless, or stuck in the past? Passing final judgment on the BlackBerry Classic depends on one's perspective about what a smartphone should do. The handset is an excellent business device, but a long way behind the latest iOS and Android smartphones in terms of features that will appeal to regular users. With the above in mind, we must concur that BlackBerry has done a good job with the Classic. The device is targeting the corporate crowd and will tick the right boxes for its members. It is superbly built, comfortable to use, seriously looking, and full of productivity features, wrapped into a responsive, highly secure OS environment. Ruthlessly aimed at persuading enterprises to upgrade their thousands of Bold users, the BlackBerry Classic is a powerful tool in its own right. It also adds a welcome bit of diversity to the market. The BlackBerry Classic is like going to a Rolling Stones concert: you'll hear some good new stuff, but you're really there for the greatest hits. 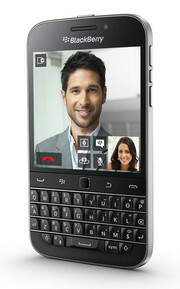 For BlackBerry diehards whose old 9900s are falling apart, the Classic will be a welcome upgrade. You get a familiar and comfortable physical keyboard, strong security and long battery life, plus new goodies like BlackBerry Assistant and a smarter hub. The Classic surely grew on me over the course of a week and the smaller screen didn’t matter as much as it did when I first picked it up. That being said, I can’t see the Classic becoming my one and only primary phone but if you’re someone that carries two phones, I can’t think of anything better than the BlackBerry Classic as your secondary device. For those waiting for a keyboard device, we think the Classic will be popular. In the enterprise world, where the Classic is pitched, it could come as a welcome relief for those with an aging Bold, Curve, or who don't like touch. For "professional consumers" here's a device that's business focused, designed to keep you communicating. The BlackBerry Classic is currently available for pre-order from BlackBerry's ShopBlackBerry.com website for $449. It is expected to ship in mid-December. 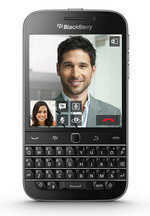 Unfortunately, the version that BlackBerry is selling is not compatible with Verizon Wireless or Sprint in the United States. Individual wireless carriers are expected to announce their specific release details soon, though, and Verizon or Sprint-compatible versions could become available. 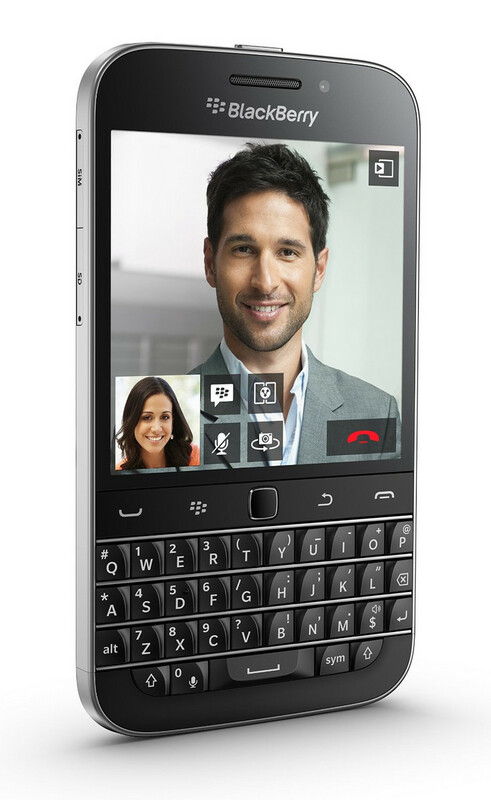 Model: Returning to its roots of a physical keyboard, the BlackBerry Classic has all the right curves and features. Design is flawless with the iconic 35 key tactile keyboard supplementing the beautiful square touchscreen. The edges are rounded for comfortable in hand usage while the back is fully textured for superior grip. The 178 g device comes with a 3.5 inch 1:1 aspect ratio screen with 294 ppi. While the screen real-estate is not something to shout about, the physical keyboard supplements the need for an on-screen one. At the heart of the BlackBerry Classic is a Qualcomm MSM 8960 processor clocked at 1.5 GHz, 2 GB RAM and 16 GB internal storage. Users can increase storage up to 128 GB using a microSD card if needed. 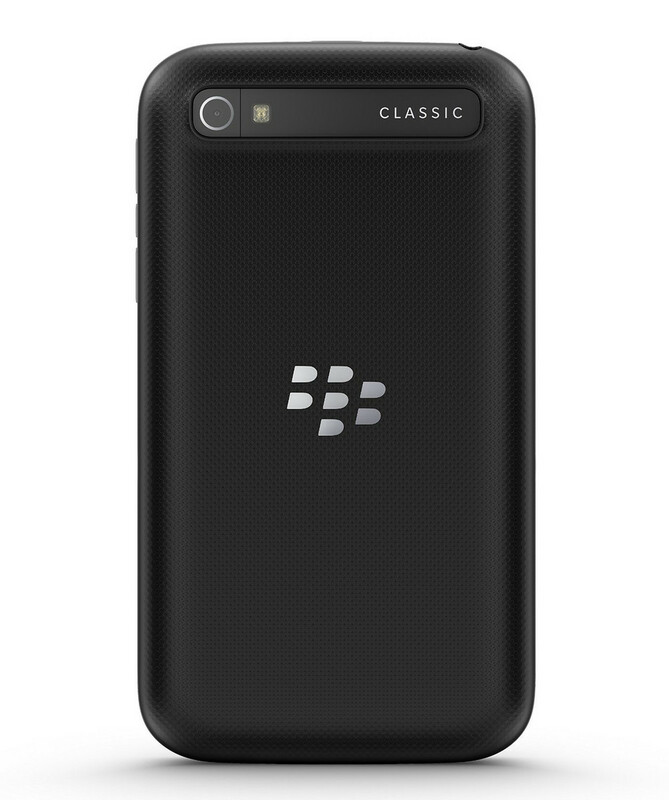 The BlackBerry Classic runs on BlackBerry 10 OS and comes with an 8 MP autofocus rear camera and a 2 MP fixed-focus front shooter. Other features include LTE, Bluetooth 4.0, A-GPS, NFC, and 3 microphones for noise cancellation. The Battery life is very good with BlackBerry claiming up to 22 hours of mixed usage powered by a 2515 mAh non-removable Lithium pack. Users who enjoy traditional BlackBerry devices with a physical keyboard will feel right at home with this device. 72.42%: This rating is bad. Most notebooks are better rated. This is not a recommendation for purchase.